AUSTIN, Texas, June 5, 2017 /PRNewswire/ --Luminex Corporation (NASDAQ: LMNX) today announced that Japan's Central Social Insurance Medical Council has approved the recommendation by the Japanese Ministry of Health, Labor and Welfare (MHLW) to provide reimbursement for two VERIGENE® assays: the Gram-Positive Blood Culture (BC-GP) test and the Gram-Negative Blood Culture (BC-GN) test. The MHLW established reimbursement went into effect on June 1, 2017. This decision follows regulatory clearance of these panels by Japan's Pharmaceuticals & Medical Devices Agency in 2016. The VERIGENE System enables clinicians to rapidly identify the pathogens responsible for some of the most complex, costly, and deadly infectious diseases, without relying on time-consuming culture methods. 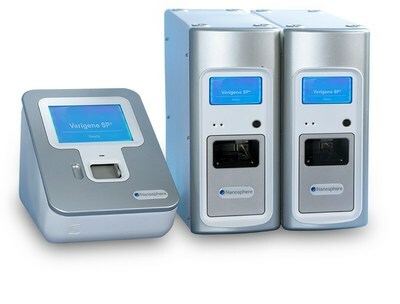 The first sample to answer system cleared for molecular diagnosis of bloodstream infections, VERIGENE provides cost-effective bacterial identification and antibiotic resistance determination directly from positive blood culture bottles up to 48 hours faster than conventional methods. "This decision opens the market for VERIGENE placements in Japan, the second largest market for molecular diagnostics," said Homi Shamir, President and Chief Executive Officer of Luminex. "With our partner, Hitachi High Tech, we will initially target the large and mid-size hospitals with molecular diagnostics facilities in Japan. We believe all can benefit from the ability to more quickly and cost-effectively differentiate potential blood culture contaminants to improve patient outcomes with the most effective antibiotic treatment. This should assist in saving patient lives while lowering costs and reducing the spread of antibiotic resistance." "We intend to register additional VERIGENE products in Japan, and looking forward to working with Hitachi High Tech to support our customers in Japan," Mr. Shamir added. Statements made in this release that express Luminex's or management's intentions, plans, beliefs, expectations or predictions of future events are forward-looking statements. Forward-looking statements in this release include statements regarding the available market and customer acceptance for VERIGENE® and related assays, future revenue growth anticipated for VERIGENE and related assays and the development, testing and regulatory approval progress of our pipeline products, including VERIGENE related assays. The words "believe", "expect", "intend", "anticipates", "confident", "will", "could", "should", and similar expressions are intended to further identify such forward-looking statements for purposes of the Private Securities Litigation Reform Act of 1995. It is important to note that the Company's actual results or performance could differ materially from those anticipated in such forward-looking statements. Factors that could cause Luminex's actual results or performance to differ materially include risks and uncertainties relating to, among others, our ability to launch products on time, the timing of regulatory approvals, the outcome of clinical trials as well as the risks discussed under the heading "Risk Factors" in Luminex's Reports on Forms 10-K and 10-Q, as filed with the Securities and Exchange Commission. The forward looking statements contained herein represent the judgment of Luminex as of the date of this press release, and Luminex expressly disclaims any intent, obligation or undertaking to release publicly any updates or revisions to any forward-looking statements to reflect any change in Luminex's expectations with regard thereto or any change in events, conditions or circumstances on which any such statements are based.